Living in the land, Disney-land that is! It’s fun to explore The Land Pavilion at Epcot. You can dine at the Garden Grill character dinner or Sunshine Seasons Food Court, or explore the Living With The Land ride to see the future of food production. Disney makes agriculture both educational and fascinating! 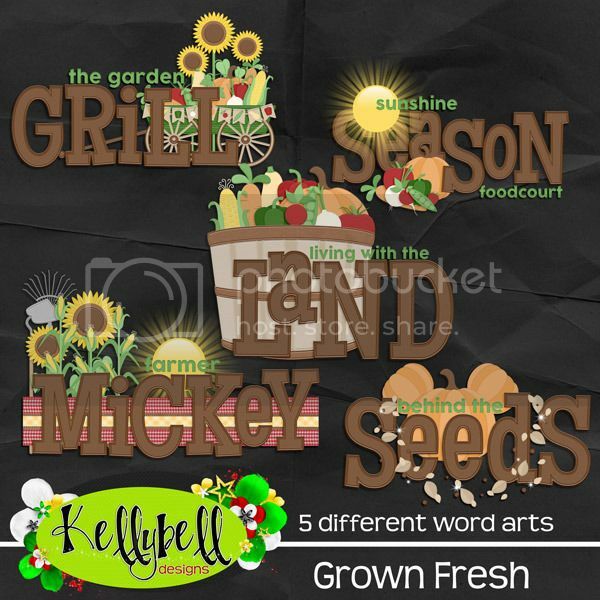 Kellybell Designs newest collection is all about veggies and harvest fun. Take a look! What a beautiful and colorful kit! Inside you’ll find lots of fruits and veggies like corn, pumpkin, green pepper, carrot, peas, radish, apple, squash, tomato, onion, strawberry and watermelon along with soil bag, seeds, scale, wood basket, pint basket, wagon, banner, garden glove, hoe, frames, sun, fence and much more. You’ll also get 15 gorgeous papers and a brown full alpha. Here’s 5 matching titles that are perfect for your Disney pages. Journal cards are not only fun for recording your notes on, but also pretty as a stand alone decoration for your page. Page starters just ROCK! They are so quick and easy to use. 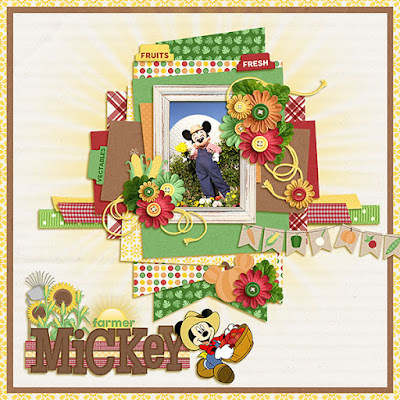 Kelly's got a pack of 5 clustered frames for you. Have you checked out the new layered paper stacks? This new format adds lots of flexibility. You not only get the 4 layered paper stacks, but you also get the clustered elements by themselves and the stacked papers by themselves. That way you can mix and match. Or use the clustered elements like a page starter. How’s that for versatility? This new collection can be found inside Kellybell Designs Store priced at 25% off this weekend only. Grab it while it’s on sale. You know you love a sale!! This collection is adorable! There are so many ways to scrap using it. 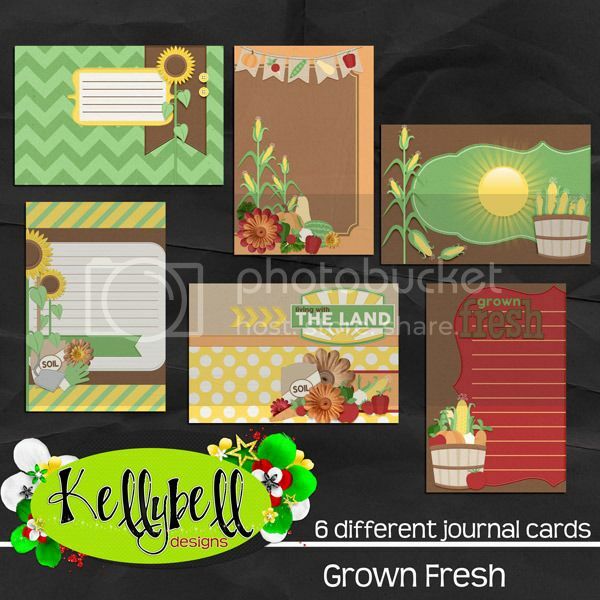 For lots of layout inspiration, you can check out the Kellybell Design’s Facebook page. Here is what I made. Would you like to find 3 matching goodies for this new collection? My CT gals have made some wonderful freebies for you. You can find them here at Charlene’s Blog, Jennifer’s Blog and Linda’s Blog. Have a great weekend and have fun scrapping!